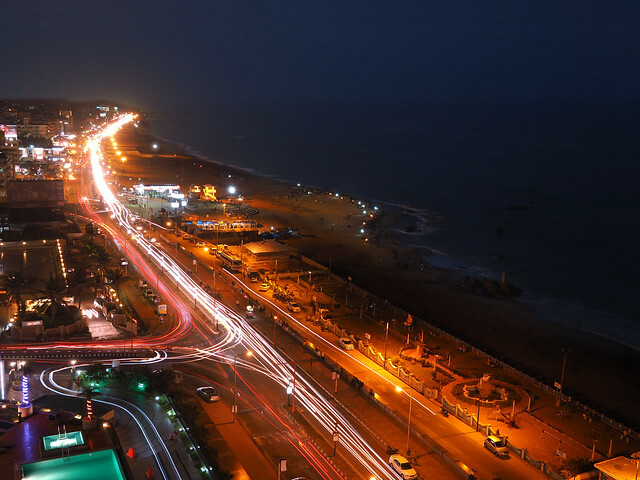 HOTEL AKSHAYA VISAKHAPATNAM: 10 INTERESTING FACTS ABOUT VIZAG. Just the name is enough to bring a smile on your face, make you feel the pleasant breeze of the sea, the soothing touch of beach sand under your feet. Once you visit the city you’ll happen to grow an emotional relation with it. But there’s more to it people. This city has its fair share of history and this article depicts ten of those countless things that make Vizag synonymous with splendidness. 1. THE CITY IS HOME FOR INDIA’S FIRST NAVAL BASE. The Eastern Naval Command Established one of its 3 Major bases in Vishakhapatnam which is also its headquarters and is responsible for states of Andhra Pradesh, Orissa, Tamil Nadu, West Bengal and Andaman & Nicorbar Islands. Navy Day is celebrated on December 4th of every year in celebration of Victory at Sea against Pakistan in 1971 war. The event displays the power and fleet of the Indian Navy. A must attend event it is, Beach Road will flood with spectators watching the Magnificent Navy fleet exhibiting the strength at the Sea. 2. IT HOSTS TWO OF THE LARGEST PORTS IN THE COUNTRY, THE ONLY CITY IN INDIA TO DO SO. While the Vishakhapatnam port, one of 13 major ports in India and the only major port of Andhra Pradesh which also happened to be India’s second largest port by volume of cargo handled has been opened in 1933. The Gangavaram Port, India’s deepest port was inaugurated in 2009. 3. FIRST SUBMARINE MUSEUM IN SOUTH ASIA. INS Kursura is one of the first four sub marines bought by the India navy 1969. It played a key role in the 1971 Indo-Pakistan war. It was decommissioned in 2001, Upon which it was established as a Submarine museum in Rama krishna beach of Vizag on 9 August 2002, The project was designed and lobbied to be sanctioned by then C.M. Mr.Nara Chandrababu Naidu making it South Asia’s 1st and world’s 2nd submarine museum. Buddhist relics found in the Thotlakonda Buddhist Complex are estimated to date back from the 1st century BC to 2nd century AD. Hindustan Shipyard Limited is India’s first and the oldest shipyard established way back in 1941 During the world war 2 era. As of 2009 it had built over 170 vessels and repaired almost 2000 ships and it is also known for conducting repairs for Indian Navy submarines. Guess what, it is also equipped to construct nuclear-powered submarines. 6. THE LAND OF LORD NARSIMHA. According to ancient scripts, Simhachalam- A Lord Varaha murthy (Narasimha) temple which is located only 25 kms away from Vizag City is the place at which Lord Vishnu reincarnated in the form of Lord Narasimha responding to the prayers of Bhaktha Prahalada to end the carnage being caused by the demon Hiranyakasiphu to restore order and faith. Since the mountain is in the shape of lion head, it is called varaha narsimha swamy.The monument of god is in varaha face with no foot,People says that varaha murthy saves prahladha from beach and run to this mountain and foot got stuck inside,so no foot for idol. 7. ALLURI SEETA RAMA RAJU IS FROM VISKHAPATNAM REGION. This is the place that molded Alluri seeta rama raju a famous Indian revolutionary of Independence movement during his teen years. He enrolled at Mrs. A.V.N. College for his higher studies and it is there he was inspired to free his country. He is crowned with the title “Manyam Veerudu” (Hero of jungles) by the Telugu people. 8. THIRD-LARGEST CITY ON THE EAST COAST OF INDIA. At 554 SqKms it is the third largest city on east coast beside Chennai and Kolkata. It also hosts a wide range of financial operations due to which it is termed as “Jewel of East coast”. 9. WITNESS OF THE LEGACY. In 1971 during the Indo-Pakistan war Vizag witnessed the Pakistani submarine Ghazi being destroyed by Indian warship”INS RAJPUT” D141 off the coast of Visakhapatnam. 10. INDIA’S FIRST NUCLEAR SUBMARINE “INS ARIHANT” IS BEING BUILT IN VIZAG. The project was launched in 2009 and is expected to be completed in 2015. The completion of Arihant will make India one of the six countries in the world with the ability to design, build and operate its own nuclear submarines. BTW, What does arihant mean? ?